The Large Hadron Collider at the European Organisation for Nuclear Research suspended operations after a rodent caused an electrical outage. A software problem meant the first beams sent this morning had to be stopped - but physics experiments will resume. I never expected this to happen in my lifetime and shall be asking my family to put some champagne in the fridge. 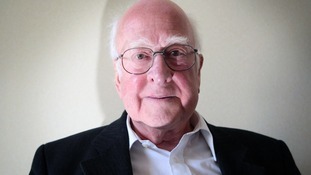 Professor Peter Higgs, the retired British physicist from Edinburgh University after whom the particle was named, was present at a packed seminar at the Geneva headquarters of Cern, the European Organisation for Nuclear Research. The professor dreamed up the concept of the Higgs mechanism to explain mass while walking in the Cairngorms in 1964.